This is a colour photo of a plastic toy Bigfoot sold by Archie McPhee and made to appear to be walking through a green forest with confidence. Bigfoot, aka Sasquatch, is seen walking through the woods and swinging his arms while completely oblivious to the fact that he is orders of magnitude out of scale with the real world. 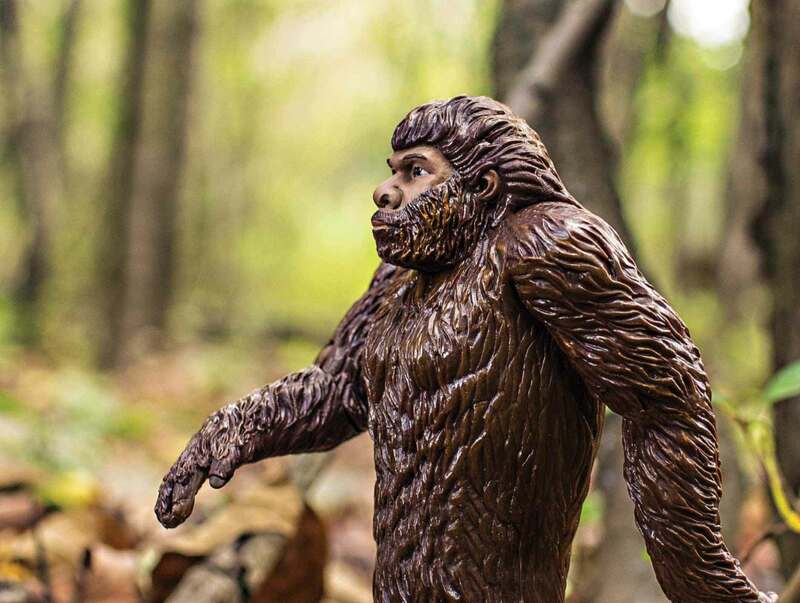 The ridgid plastic on this body depicts coarse bigfoot hair covering the majority of his toy plastic body, only his eyes, checkbones and partial forehead appear to be bare skin — this dude has eyebrows.